Why is it that some people can overcome adversity and others can’t? Why are some people more prone to depression than others? How can some sales people keep going despite getting one ‘no’ after another, while some give up after the first ‘no’? This brilliant and important paperback answers these questions. Martin Seligman is one of the most important psychologists of the last fifty years. His early work on ‘learned helplessness’ proved that in an expectation of failure for example, the thought that ‘nothing I can do will make any difference,’ dramatically increases the risk of depression. In his early experiments he found that animals that could not influence the outcome of stressful events (in this case, getting an electric shock) became helpless. This ‘learned helplessness’ is also shown by most humans in exactly the same way. However, a minority of experimental subjects bucked the trend. Some of us he found, even in the face of extreme adversity that we cannot control, don’t give up and don’t become helpless. It’s all down to our ‘explanatory style,’ how we think about and rationalise the bad things that happen to us. Seligman discovered that the resilient people were optimists. 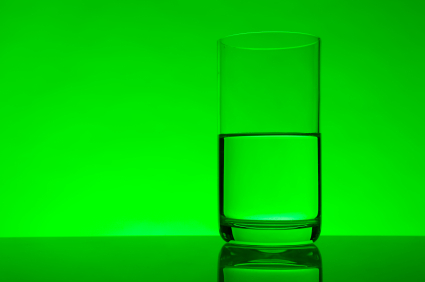 Optimists tend to think of adversity as temporary, specific, and external, whereas for pessimists adversity is more likely to be thought of in permanent, pervasive and personal ways. For example, sales people have to make cold calls and get a lot of knock-backs. The pessimistic salesman might think: ‘I hate cold calling. I just annoy people and I’m not cut out for selling.’ The optimistic salesman might think: ‘I gave it my best shot, but she was obviously in a bad mood. Maybe she had a bad day at work.’ The pessimist is likely to very quickly give up and feel depressed, whereas the optimist will keep going and not feel depressed because he doesn’t feel responsible for the poor outcome. Using this book, you can find out how optimistic or pessimistic you really are (you might be surprised), and how this affects you in different ways. Seligman clearly demonstrates how you can train yourself to be more optimistic and challenge or ‘dispute your pessimistic thoughts and ‘catastrophising.’ It’s not a book about positive thinking as such. There are times when it is appropriate to be pessimistic. Rather it is about finding appropriate thinking strategies that maximise your chances of success and happiness, while minimising your risk of illness and depression, especially when confronted by adversity. The advice given in this book is not opinion or hype. Seligman’s work is based upon many years of hard research with control groups. We can say with real conviction that this stuff works!